When I was in the fourth grade, Dad moved our family from Arkansas to New Mexico. In 1955, my love for everything horses, cowboys, cowgirls, and rodeos was born. In junior high, I heard about the Calgary Stampede in that far away place Calgary, Alberta, Canada. Wish the Internet had been a reality then. 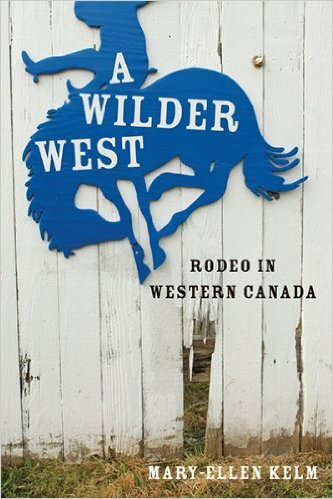 Lovington's library didn't have books about the Stampede or Canada. It was just word of mouth from folks who had been there. Fast forward to early August 2006. When we drove from Austin, Texas to Wasilla, Alaska, we spent the night in Calgary. 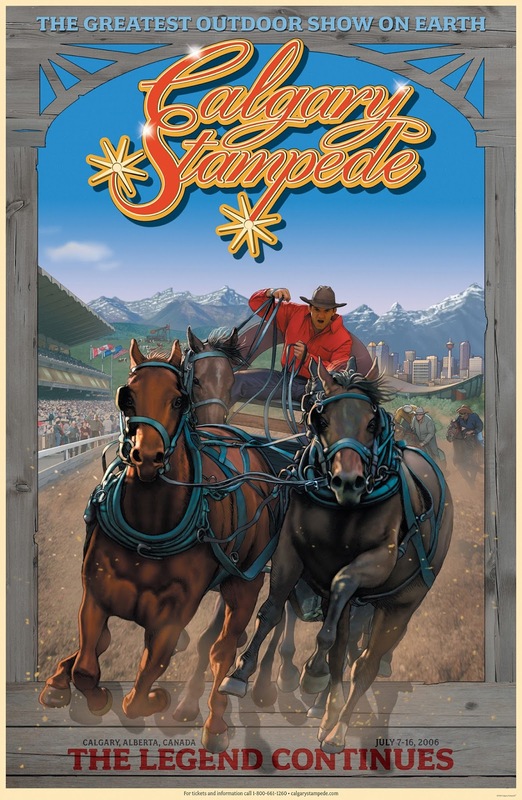 The 2006 Stampede was held July 7-16, but the city was still alive and energized from the rodeos, exhibits, and events. It was exciting. A little girl's dream realized. When Jerry's brother went to Calgary during his tours of the major rodeo venues my interest was sparked again. One of the taglines of the Stampede is We're Greatest Together. That sentiment embodies what I've discovered about the folks associated with the rodeo. 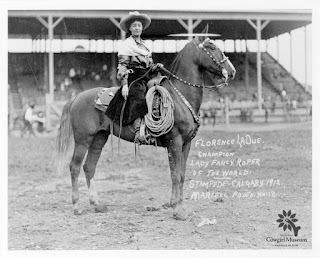 Meet Florence "Flores" LaDue known as the First Lady of the Calgary Stampede. Flores was the stage name of Grace Maud Bensel (1883-1951). Her mother died when she was an infant. Her father, C.D. Bensel, was a criminal lawyer and later a judge. As a youngster, she lived on a Sioux reservation where her grandfather was the government agent. She ran away from her home in Montevideo, Minnesota to join a traveling Wild West show. 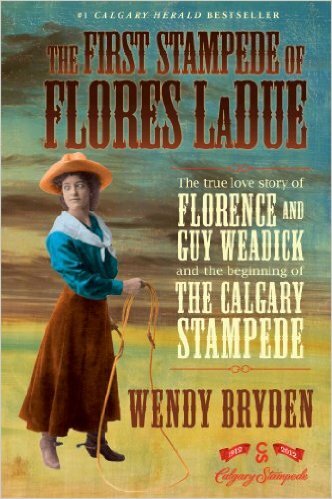 She changed her name to Florence Flores LaDue to avoid being found. 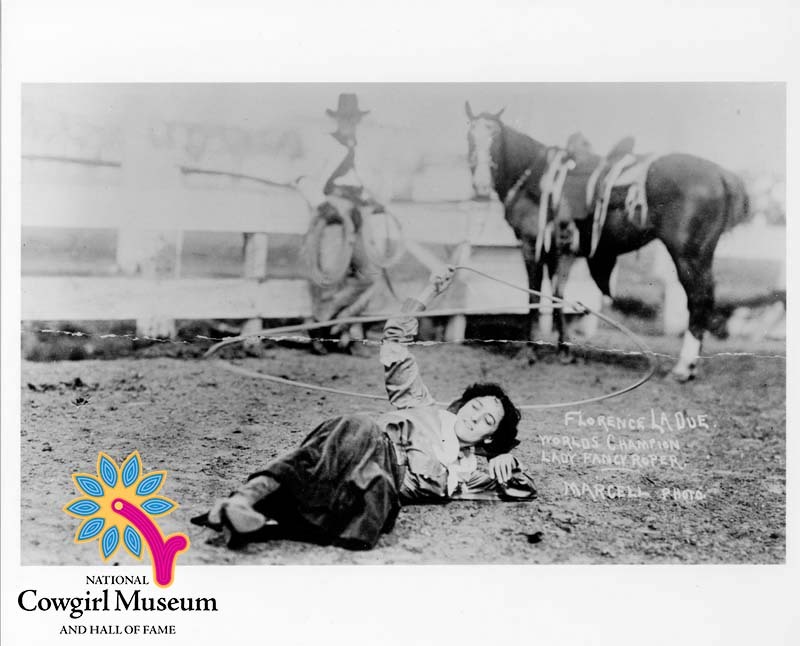 In 1905, while roping upside down on a horse, she caught the eye of Guy Weadick, an itinerant rodeo cowboy and accomplished rider and roper. She was appearing in Chicago with the Cummins's Wild West Show and Indian Congress. They were married in 1906 and eventually made western Canada their home where they operated a dude ranch and produced small rodeos. 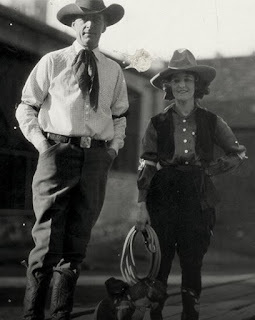 During their life on the rodeo circuit, they appeared with Will Rogers' Wild West show in 1910. They appeared on Broadway in Wyoming Days and worked the vaudeville circuits, as well as appearing in Glasgow, London, and Paris. 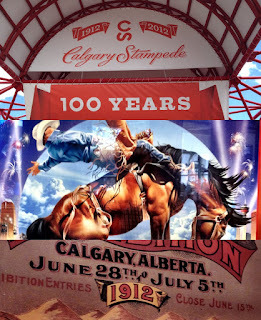 Together, with the help of other rodeo-advocates, they organized the first Calgary Stampede and billed it The Greatest Outdoor Show on Earth. 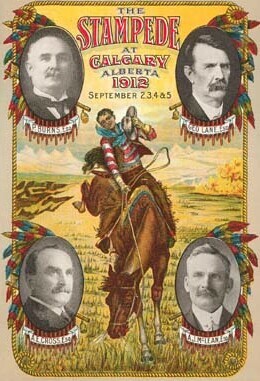 Flores was the event's fancy roping world champion from 1912 to 1919. 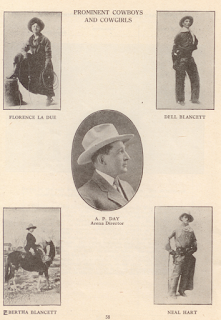 Guy Weadick (1885-1953) became known as the Father of the Frontier Show. 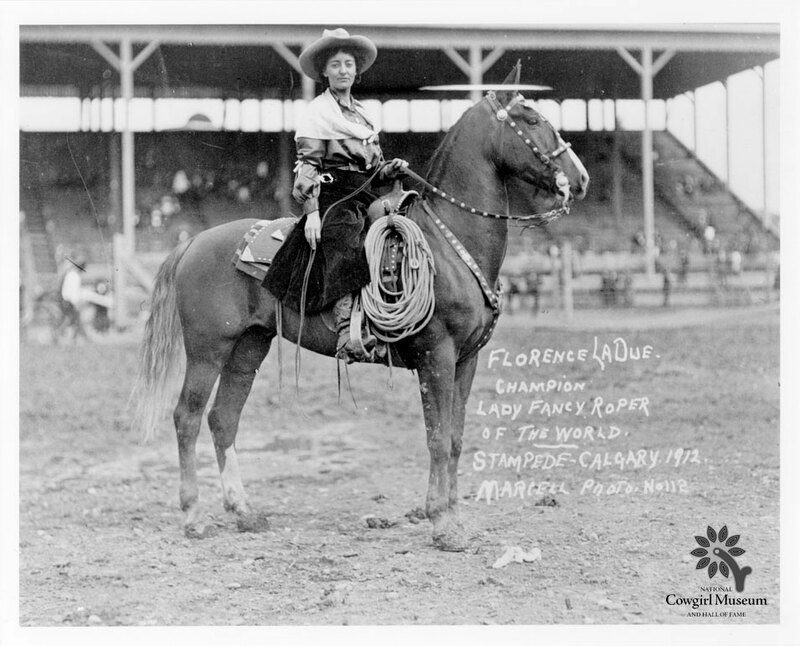 After competing for 31 years, Flores retired undefeated as World Champion Lady Fancy Roper. 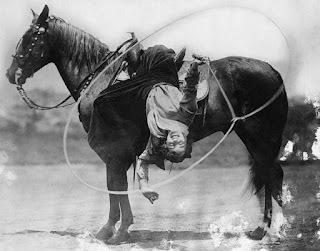 She is the only cowgirl to claim three world championships for trick and fancy roping. 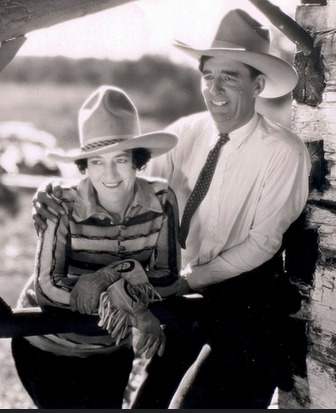 Failing health forced them to leave Canada for Phoenix, Arizona, where she died of heart failure in 1951. 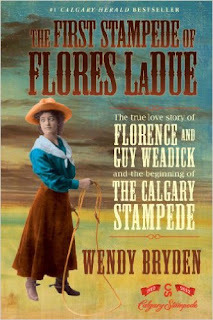 So much of what's known about Flores and her fascinating life is due to memories of her Alberta neighbor Lenore McLean, who grew up next door to Flores in the 1940's. There's no dispute that Flores opened the way for and left a legacy for generations of cowgirls who followed. In 2001, she was inducted into the National Cowgirl Museum and Hall of Fame. 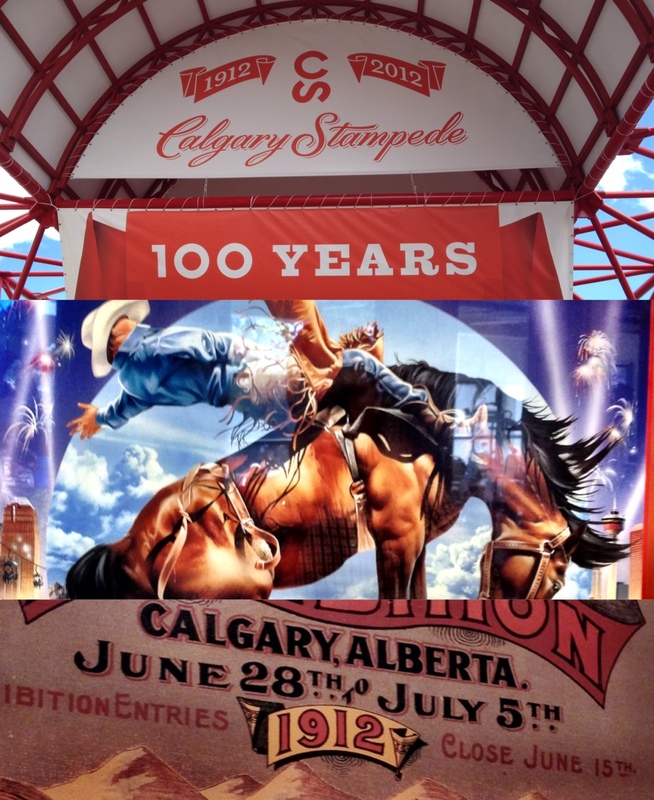 July, 2010 marked the 100th year of the Calgary Stampede. 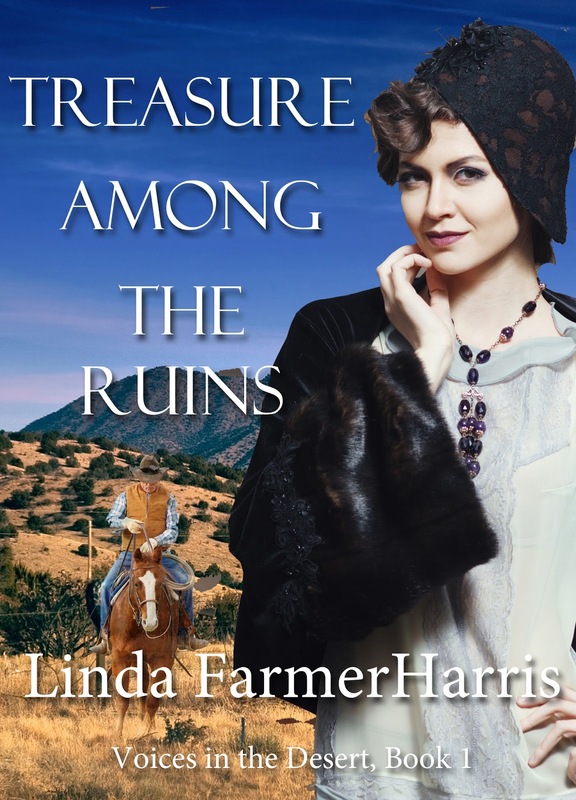 In Treasure Among the Ruins, Delia and Jace jump The Texas Skip together. Treasure Among the Ruins, Book 1 in the Voices in the Desert series (Winged Publications, 2016) is available from Amazon.com in Kindle and paperback. 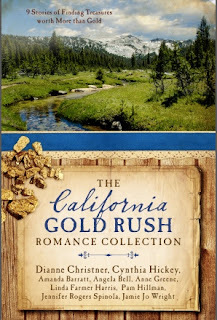 Her novella, The Lye Water Bride, is included in the California Gold Rush Romance Collection (Barbour Publishing, 2016) and is available from Amazon.com in Kindle and paperback. I love this subject, great post.